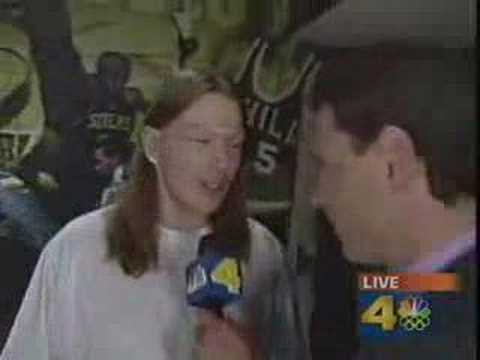 Maybe this is a bit dated (from 2001) but this is a really interesting (if not somewhat boring) interview with Axl Rose in an unlikely situation – following a Lakers / 76ers playoff game. If it weren’t for the tattoos, I might even think that the person being interview wasn’t Axl but somebody pretending to be him. (Credit to the Metal Sludge message board – warning: NSFW avatar in this thread – for digging this up).